Ansel makes abstract oil paintings that are derived from Renaissance and Baroque depictions of bacchanals and figures in the landscape. She interprets the “master works” of Giorgione, Poussin, Tiepolo, Titian, and Veronese through the lens of gestural abstraction for a contemporary audience. Ansel conducts us through the veil that time draws across memory, following the invisible thread that connects her images to their origins in Europe five hundred years ago. A New York City native based in Portland, ME, Elise Ansel studied Visual Art and Comparative Literature at RISD and Brown University, where she was inspired by James Joyce’s reworking of Homer's epic poem the Odyssey into his contemporary masterpiece Ulysses. Ansel delights in exploring the type of luminosity that can be achieved with colors made from mineral pigments rather than chemicals, dyes or light emitting diodes. Drawn to re-imagining classic works in the visual arts, she seeks to reclaim paintings that were created at a time when women were seen as objects rather than primary actors or creators. 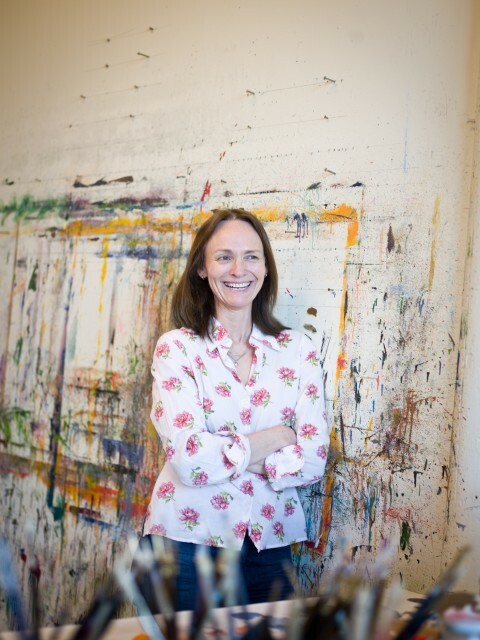 Ansel earned an MFA in Visual Art from Southern Methodist University, and has exhibited her work throughout the United States and Europe, most recently at the Phoenix Gallery in New York City, and Cadogan Contemporary in London. Her paintings are currently touring the United Kingdom in the “Young Masters” tour. Ansel’s works are included in the collections of the Eli Lilly Foundation, Brown University, Evansville Museum of Arts, and the Spring Island Trust, among others.